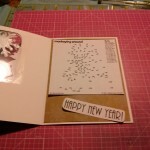 Here is the New Year’s I card made using our Winter Sample Dot-to-Dot on the inside. 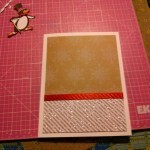 This card is fairly simple and use s every day craft items to create. Print out the two pdf clip art files from above. Color in one of the penguins. 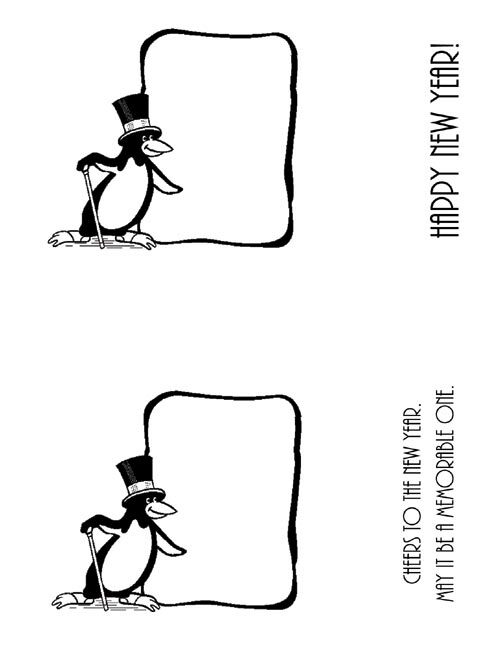 Cut out the two sentiments. 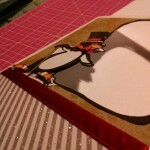 Cut pattern cardstock for front of card (top half) 4¾” x 6¾”. 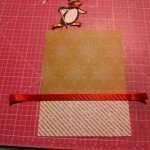 Place ribbon over seem of papers and attach to back of cardstock (this hides the ends of the ribbon). 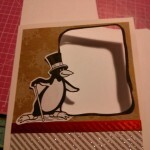 Place on front of white card stock. Click the first image below to see the full instructions. 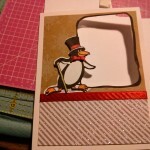 Trim out one of the penguin frames. 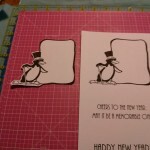 Color in the penguin you did not cut out. I used watercolor pencils and a water brush for this look. 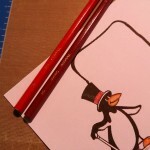 Color the cane, I used a gold gel pen. 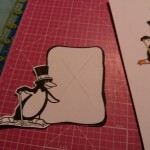 Cut an X in the frame of the uncolored penguin. Trim out the white from the frame. 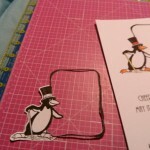 Fussy cut out the colored penguin. 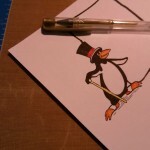 Use a black marker to hide any white paper edges. Trim out white from the remaining frame. 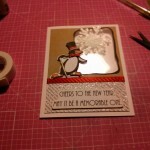 Flip the trimmed out frame over and trace it on the inside of the card. 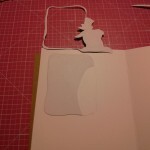 Eventually you will cut this out for a window. 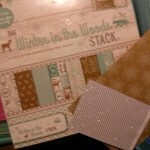 Here is the DCWV paper stack I used. 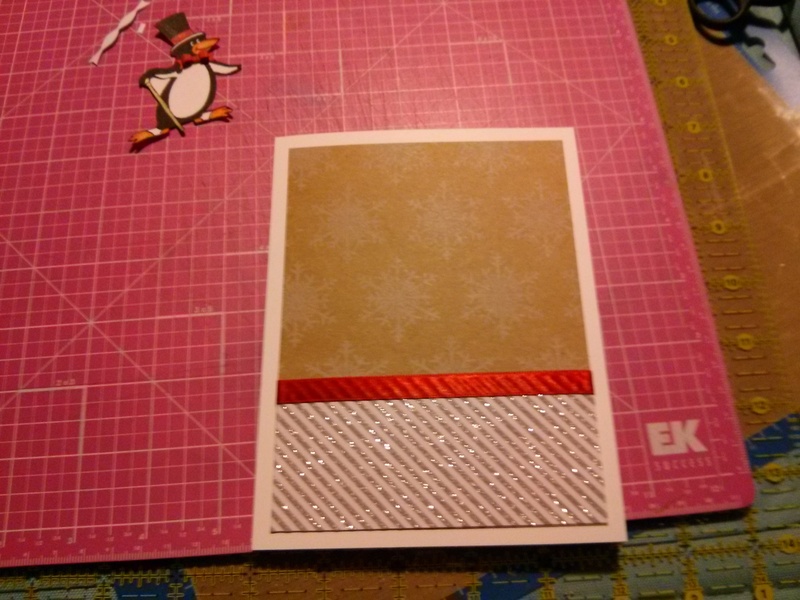 Use the dimensions above to create the front of the card. 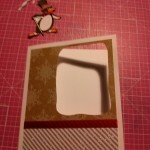 Attach to the front of the card. Open the card now that the front of the card is attached. 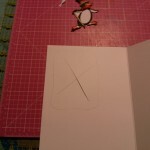 Cut an X in the traced frame. Cut out the frame. It should look like this when you are done. 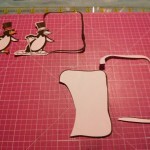 Glue the penguin with the frame attached over the hole. Trim away any excess white frame. 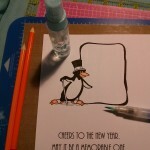 Use foam dots to pop the colored penguin on top of the noncolored one. 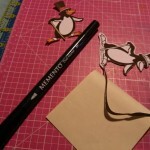 This will give the penguin dimension. 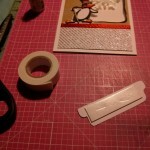 Make sure to attach the beaks so they don’t bend the wrong way. 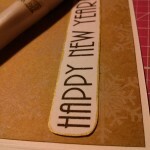 Cut out the sentiment and foam tape the back of it. Attach the sentiment as shown. 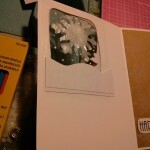 Tape the acetate over the hole. 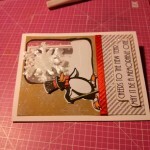 Open the card and put dots (snow) on the acetate using the white gel pen. Keep the card open until they dry fully. 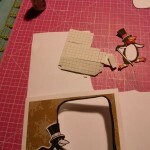 Cut out the puzzle and attach it as shown. 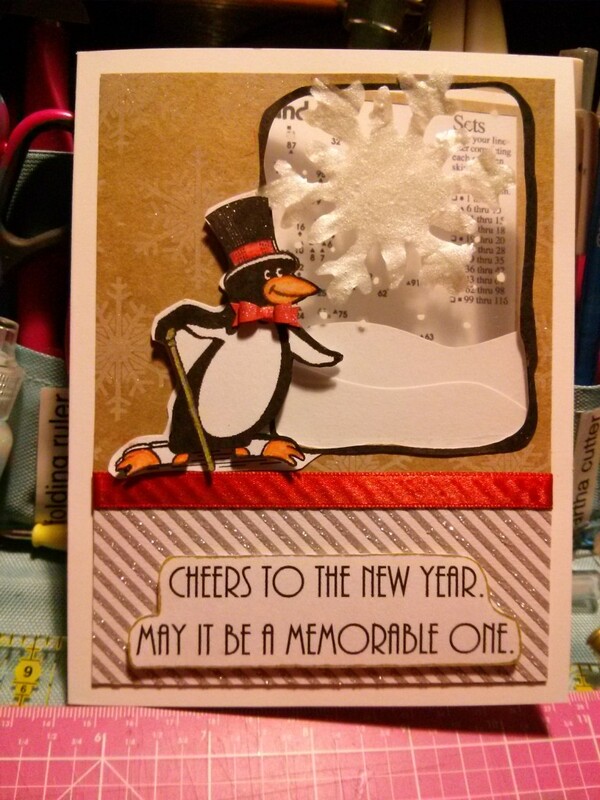 Fussy cut out the Happy New Year to fit on the inside of the card. 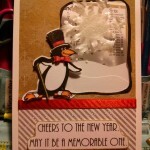 I used the Zig Wink of Stella Clear brush pen on the sentiment to add some shine. 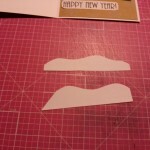 I cut out two snow drifts from the extra white cardstock. 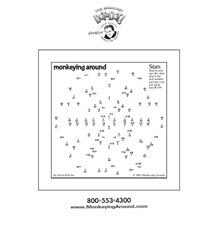 I placed them on the back of the acetate as shown above. 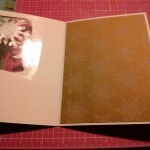 I used the Wink of Stella pen on the background snowflakes to give them shine. I added a DIY Window Cling snowflake.